Every current Apple notebook has 802.11ac wireless connectivity; the very latest Wi-Fi technology.lt's up to three times as fast as its predecessor, Wireless n, but is fully backwards compatible with older protocols. 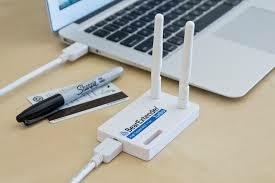 They also offer Bluetooth 4.0, for low-power connections with your Bluetooth peripherals. notebook range are surprisingly good. Although not as deep as adecent set of external speakers, they give adecent amount of detail and clarity. Just the thing for your tunes and movies. With the optical drive removed, the hard drive replaced with a solid state drive and the unibody chassis - carved from a single piece of aluminium - further reducing weight, the new MacBooks are very light and portable. The lightest, the new MacBook, weighs just 2.03 pounds (0.92 kg).